How to use a high-current solenoid with Arduino So you have a solenoid that you want to use as an electric door lock, or some other kind of actuator with your Arduino. But, here's the problem: too high a current for the Arduino to source, and too high of a voltage to drive. Well fear not, using a simple transistor we can set up the solenoid to work hand in hard with your Arduino. 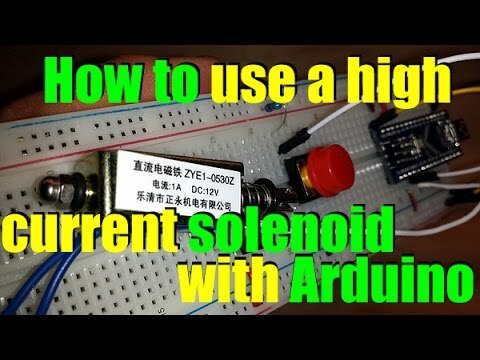 Read How to use a high current solenoid with Arduino #Arduino via Adafruit Industries – Makers, hackers, artists, designers and engineers!